A while back, my family spent the whole day downtown. It was a drizzly morning so we were glad we already planned to start with a visit to Louisville Slugger Museum & Factory. We always bring out of town guests to take a snapshot in front of the iconic world’s largest bat and had popped into the gift shop, but this was our first time checking out the museum and taking a tour of the factory. Parking nearby at the lots behind museum row is typically $5 for the day and you’ll need cash for most, though I did swipe a credit card at one recently. Walking there from the parking lots is fun, as this part of downtown has so much to see and do. When you enter Louisville Slugger Museum, there is an information booth, but you pass that and go to the left to buy your entry tickets. There is a lot you can see inside the building without buying admission to the museum and tour, but we were so glad we went through that pay to enter part. 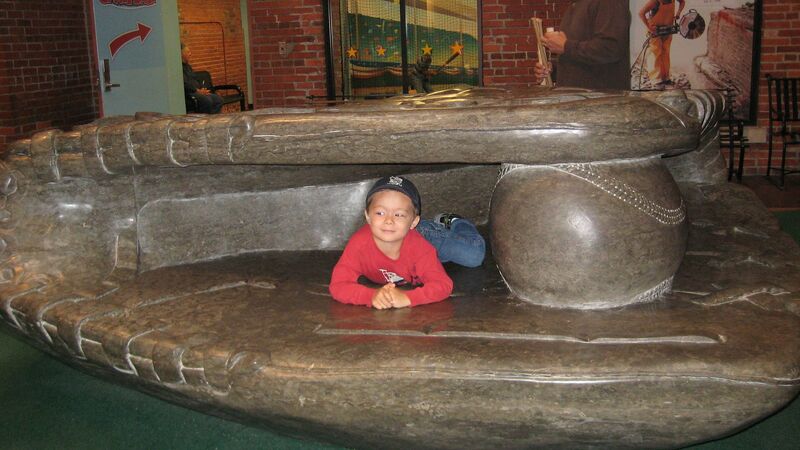 Inside the main museum, there are numerous interactive displays where you can learn more about not just the history of the Louisville Slugger bat, but a great deal about baseball in general too. 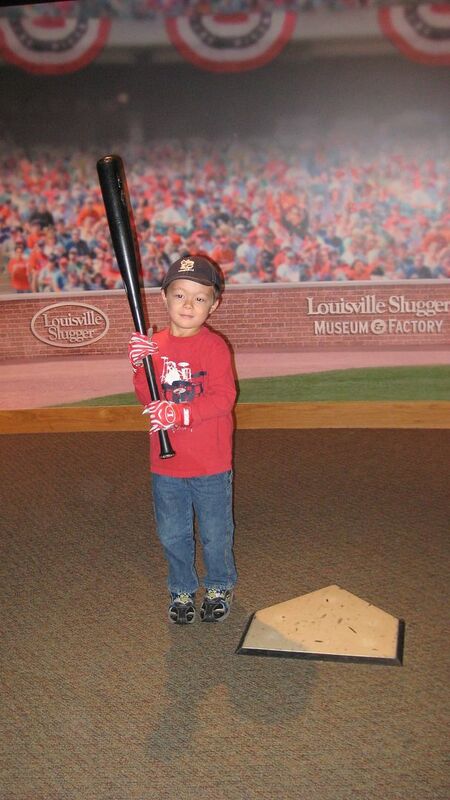 My son loved putting on the gloves and posing for a picture with the official bat, and also really liked going around the exhibits where he could touch, pull, listen, or watch different things. He was so involved in the interactive parts that after I read him the few lines at each he had the preschooler attention to listen to, I could then read almost every word, which was great! Your entry ticket includes the time for your tour, as thankfully they limit how many people go through on each one, and they announce where to meet inside the museum a few minutes before your scheduled time. We had just the right amount of time to explore the museum before our tour time, but you can always go back in afterwards if not. At the gathering spot, we watched a short film about the Slugger’s history, met our guide, and heard the rules for being inside the factory. One of which is no cameras or video, so I only have photos inside the exhibits. I was surprised at how much each of us thoroughly enjoyed this portion of our visit. I figured the machinery would be neat to see, and it was, but the guide’s enthusiasm was contagious. All of the employees we encountered were equally pleasant and helpful. Watching the way they used to make the bats and how they do it now was really interesting and the pride and care of those who do really shines through. We loved all of the trivia the guide threw in too. My appreciation for bats and baseball were greatly increased largely due to the tour and also because of the museum in general. A few of us were allowed to take a keepsake “nub” that is left over during the process and at the end of the tour every person gets their own souvenir mini-bat to keep. My son loved the tour, was fascinated by the machinery, and cherishes his keepsake mini-bat and “nub.” I should note that they mentioned the bats cannot be carried onto planes, so if you bring company that is flying elsewhere, they’ll need to pack it in checked luggage or pay a small fee to have them shipped. After the tour we watched the short movie across the hall about the history of baseball, which was like taking a tour through time. Then, we went to the other areas which we had seen before but appreciated so much more now, like the vault that holds the model of each player’s bat which is designed according to their exact specifications and are all unique and quite varied. 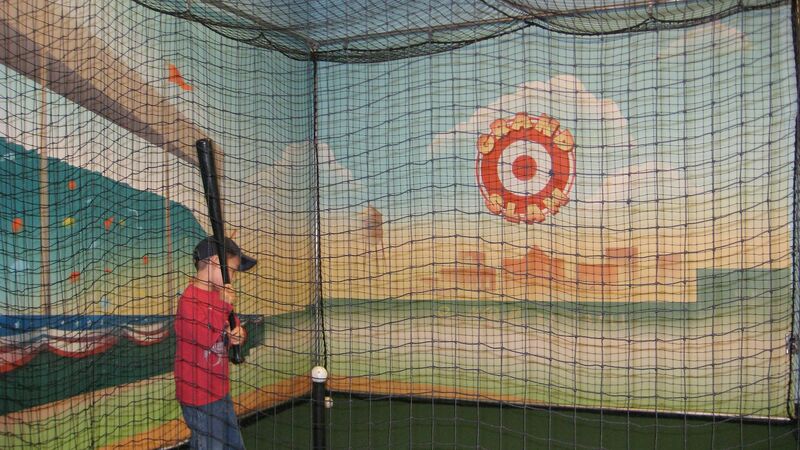 You can also see the wall of their signatures which are used on the bats, pay to have a personalized bat created, take a photo by- or in!- the giant glove sculpture, enjoy the great little kid’s play area, or try your hand in the reasonably pieced indoor batting cages. The well-stocked gift shop is always fun and, along with a lot of fun bat themed merchandise, you can buy a variety of mini-bats there too, varying in color and representing different teams or players. Admission is $11 for ages 13-59, $10 for those over 60, $6 for kids 6-12, and 5 and under are free. AAA members can save 50 cents and you might be able to find other discounts, so look before you head over. Check their website for hours, which do change slightly seasonally and other details. 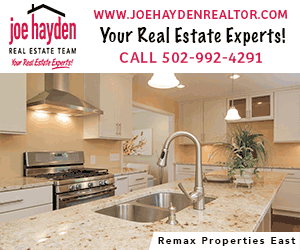 They are located at 800 West Main St. in downtown Louisville and you can also reach them at 1-877-7-SLUGGER. 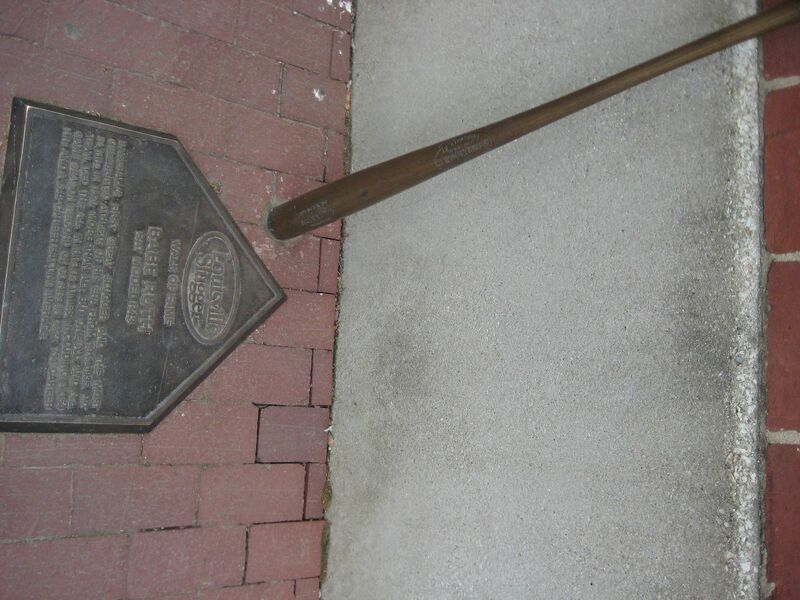 While there, be sure to take photos in front of the giant 120 foot tall bat outside, which makes this place a snap to find, as well as the fun Louisville Slugger Walk of Fame, featuring home plates with names and career highlights of select players and their bronzed bats. You can also peek inside the windows to watch some of what happens inside the factory, but I really recommend paying to take the tour as you get to see so much more and the guides are so informative and entertaining! Remember they are part of Museum Row, so make a day of it and visit another museum while there. Each will take $1 off your admission if you show paid admission to another. 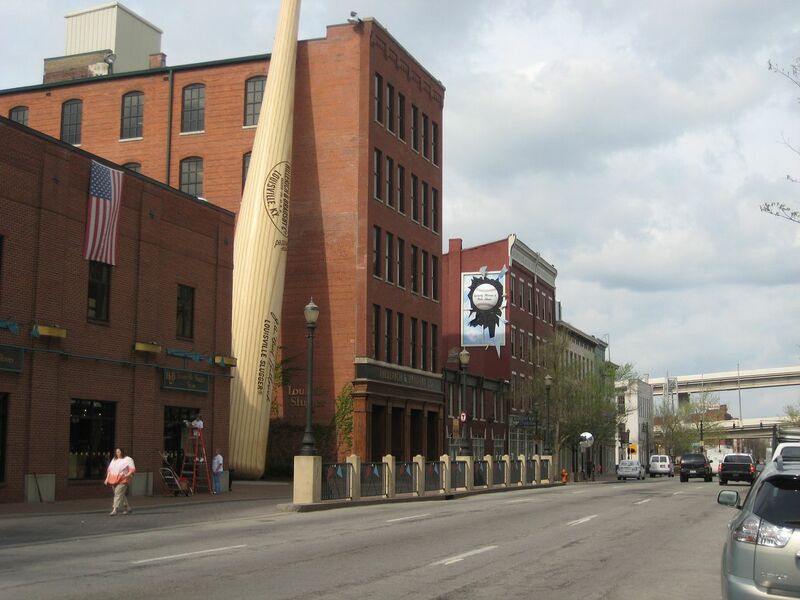 You can pack a lunch to save money and there is a lot to see just walking through downtown too, like the Louisville Slugger Walk of Fame, statues, all sorts of street art, and other places that are free to check out. Click here for a virtual tour of the museum and scroll to the bottom for a coupon that saves you 10% off in the store! « Service Projects for Families in and around Louisville – Where can families volunteer?